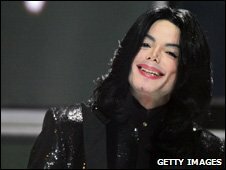 The city of Los Angeles will pay the costs of policing Michael Jackson’s memorial concert, its mayor has said. “This is a world-class city and we provide fire and police protection,” said Antonio Villaraigosa. City council officials have suggested Jackson’s family and promoter AEG Live should pay some of the $1.4m (£860,000) needed for police and traffic control. But Mr Villaraigosa said that “the idea we would charge the family for a funeral is nonsensical”. The mayor was on holiday in South Africa a week ago when more than 17,000 fans flocked to downtown Los Angeles to watch the public memorial. In his absence a website was set up encouraging public donations to help cover the costs of last Tuesday’s event at the Staples Center. Meanwhile, AEG Live’s chief executive has revealed he wants to stage a one-off London tribute concert featuring the Jacksons and other artists. Speaking to 6 Music, Randy Phillips said “hard decisions” would need to be made if the event was to take place on what would have been Michael Jackson’s 51st birthday. “What we’re thinking about is one massive tribute that’s broadcast around the globe,” he said. However, he played down reports that a concert was already in the works featuring such artists as Leona Lewis and Justin Timberlake. Mr Phillips also rejected calls for AEG to reimburse LA authorities for the costs incurred by last week’s memorial. Michael Jackson’s ex-wife Debbie Rowe has denied reports she was paid by the singer to give up parental rights to their two children. The New York Post reported that Rowe agreed to take about $4m (£2.4m) to give up her rights to children Prince Michael Jr, 12, and Paris, 11. In a letter to the newspaper, her lawyer Eric George called the claims “blatant falsehoods”. New York Post editor-in-chief Col Allan said the paper “stands by its story”. That was despite Mr George asking the newspaper to publish an immediate retraction. The lawyer said Ms Rowe, who was married to Jackson from 1996 to 1999, “has not and will not” give up her parental rights and the claim was “unequivocally false”. He said the story had been “concocted with reckless disregard for the truth”, adding that Ms Rowe had also not taken, and would not accept, any additional money beyond the spousal support she had agreed with the singer years ago. Mr George said that, following Jackson’s death, “no determination has been reached concerning custody or visitation”. Jackson’s mother, Katherine, was granted temporary guardianship of her son’s three children on 29 June. A custody hearing on the three is set for next Monday. The surrogate mother of Jackson’s youngest child, seven-year-old Prince Michael II, has never been identified. In a 2002 will signed by Jackson, he said he had “intentionally omitted” to provide for Ms Rowe. She gave up custody rights to the children but sought them again in 2003. They agreed a settlement in 2006 but the terms were never disclosed. Meanwhile, sales of Jackson’s music have continued to rocket in the US. Early figures show the singer’s catalogue of solo albums sold 1.1 million copies in the past week. It brings the total number of Jackson album sales in the US to more than 2.3 million in two-and-a-half weeks. Meanwhile, Tito Jackson has said he and his brothers and sisters confronted the star over claims he was addicted to prescription drugs. In an interview with the Daily Mirror, he said: “We had to act – it was me, my sisters Janet, Rebbie and La Toya and my brothers Jackie and Randy. On Tuesday, a spokesman for the Los Angeles coroner said results of Jackson’s autopsy would not be released “this week or next” while final work on the case was carried out. We don’t know if he has even been buried yet but already the first Michael Jackson tribute biography is bound and ready to go. Harper Collins is one of 15 publishers racing to get their book onto the shelves first. 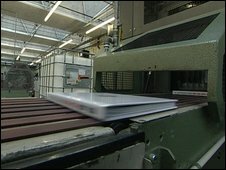 A printers in Somerset began running 110,000 copies of their edition on Saturday. Harper Collins hopes this means the book can hit the shops on Friday, just three weeks after Jackson’s death. How they did it is down to some of the tightest self-imposed deadlines the UK publishing industry has ever seen. 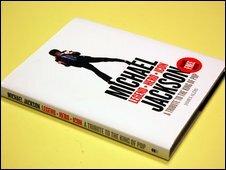 The morning after the news Michael Jackson had died, Harper Collins sensed an opportunity. They decided a new book was needed, especially since the most recent Jackson biography in the marketplace was over five years old. The trouble is, they knew their competitors would be thinking the same thing. To meet the tight deadlines the publisher had set themselves, they quickly brought in a freelance author, sat him down in an office on the editorial floor of their London headquarters, and told him to write 10,000 words of new material in 48 hours. He shut himself away until he had finished. The book trade, under pressure from the recession and online media, is excited at what all the publishers might come up with. “In terms of the reaction to the death of a public figure, it’s probably the most significant publishing event since the death of Princess Diana,” says Joe Browes, the music buyer for Waterstone’s. For the industry, this is great news. It means extra sales that had not been planned for. But with four or five publishers rushing to be first to market, it seems likely that there won’t be room in the market for all of the books. Even though Jackson’s commercial appeal is huge, the pie is finite and not everyone will get a bite. A hearing to decide who will take care of Michael Jackson’s three children is to be delayed by a week, says his mother’s lawyer. Katherine Jackson and her son’s ex-wife Deborah Rowe joined on Friday to ask the judge for a delay to the hearing. The case has been delayed once already. Ms Jackson will remain the temporary guardian of her son’s three children, whose ages range from seven to 12. The two sides are believed to be trying to broker an out-of-court settlement. In a statement to the Associated Press news agency, L Londell McMillan, a lawyer acting for Ms Jackson, said the delay would “allow us to privately and amicably resolve this most important matter in a dignified manner for the benefit of the children first and all involved”. Lawyers for Ms Rowe, who was married to the pop singer from 1996 to 1999, have declined to comment. 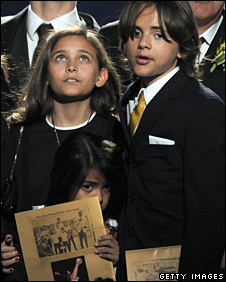 She is the mother of Jackson’s two oldest children, 12-year-old Prince Michael, and 11-year-old Paris Michael Katherine Jackson. In his will, Michael Jackson stated he wanted his mother to care for his children if he died. As an alternative, he named singer and friend Diana Ross. Mystery surrounds the whereabouts of Michael Jackson’s body and plans for the singer’s burial following his emotional memorial service. It is not clear where his golden coffin was taken to after it was removed from the Staples Center in Los Angeles. And, in the absence of an announcement by his family, speculation is mounting over where he will be buried. Meanwhile, figures show that his memorial service was watched by 31.3 million people in the US. On Tuesday, family members attended a short funeral service at the Forest Lawn cemetery before Jackson’s coffin was taken in a hearse for the 10-mile trip to the Staples Center. After the coffin was taken out, the hearse was seen leaving the centre but its destination has not been made public. Los Angeles County records show that Forest Lawn is officially the temporary location of the body. But the coffin has not been seen returning to the cemetery. Some reports suggest that Jackson could be buried at Forest Lawn – the last resting place of celebrities including Liberace, Bette Davis and actor David Carradine, who was found dead in a Bangkok hotel room last month. Last week, Jackson’s brother Jermaine said he wanted the body to be buried in the grounds of the singer’s former home – the sprawling Neverland ranch, 150 miles north-west of Los Angeles. Permission would be needed by authorities who would have to consider the implications of visiting fans on the transport infrastructure. Meanwhile, Nielsen Media Research, the company that tracks viewing figures in the US, said that 31.3 million people watched the memorial service which was shown on a number of different networks. This compared with the 28.9 million who watched the American Idol final in May and the 38 million who watched President Barack Obama’s inauguration in January. Princess Diana’s funeral in September 1997 was watched by 33.2 million in the US. Nielsen Media Research said Jackson’s memorial service was also watched by millions more on the internet. It has emerged that the memorial service cost $1.4m (£860,000) to police and to provide traffic control and other services for. The amount included $1.1m (£680,000) in overtime pay for the 4,173 officers who worked around Forest Lawn, the Staples Center and other areas, the police department said. The city council has set up a website asking people to make tax-free donations to help cover costs. US music sales tracker Nielsen SoundScan, meanwhile, has revealed that 800,000 copies of Michael Jackson albums were bought last week – almost double sales for the previous week. Compilation Number Ones was the best-selling album followed by 1982 album Thriller. 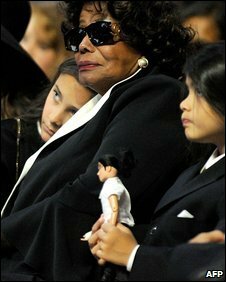 Michael Jackson’s family and fans have said farewell to the pop superstar at an emotional memorial service. Jackson’s daughter Paris, 11, fought back tears to describe him as as “the best father you can ever imagine”. 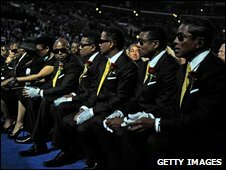 The singer’s coffin was placed in front of the stage during the event at the Staples Center in Los Angeles after an earlier private funeral. Lionel Richie, Stevie Wonder and Mariah Carey paid tribute before the family joined a sombre finale on stage. The crowd cheered as the golden flower-draped coffin entered the arena to the strains of a choir singing “Hallelujah, hallelujah, we’re going to see the King” from the song Soon And Very Soon. Others paying tribute included Lionel Richie, Jennifer Hudson, Queen Latifah and Brooke Shields. Some sang, while others spoke about their memories of the King of Pop and his influence on music and society. Many embraced family members as they left the stage. The BBC’s Matthew Price, who was in the arena, said: “It’s had to clearly see the family but the glimpses I’m getting show a family both in mourning, and in celebration of his life. Actress Brooke Shields, who first met Jackson when she was 13, broke down in tears as she took to the stage. 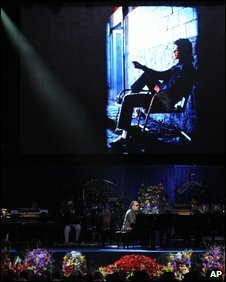 The 17,500 people in the arena cheered as clips of Jackson’s life and music were played on big screens. Messages were read from absent guests including former South African President Nelson Mandela, poet Maya Angelou and singer Diana Ross. The message from Ross was read by Smokey Robinson. “I’m trying to find closure,” it said. “I want you to know that even though I am not there at the Staples Center I am there in my heart. “Michael was a personal love of mine, a treasured part of my world, part of the fabric of my life in a way that I can’t seem to find words to express. Other people taking part include Usher and Britain’s Got Talent finalist Shaheen Jafargholi, who has played the young Michael Jackson in the musical Thriller – Live. Millions of fans around the world are watching on TV. 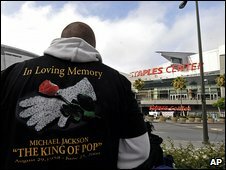 Roads were closed off and concrete barriers erected outside the Staples Center, where Jackson had been rehearsing a comeback show before his sudden death aged 50 on 25 June. More than 1.6 million fans applied to attend the memorial event, with 8,750 people chosen at random to receive a pair of tickets. One person not attending is Jackson’s former wife and the mother of two of his children, Debbie Rowe. “The onslaught of media attention has made it clear her attendance would be an unnecessary distraction to an event that should focus exclusively on Michael’s legacy,” her lawyer Marta Almli said in a statement. About 50 cinemas across the US are showing the memorial live. It is also being relayed to big screens across the UK, Australia and Hong Kong. Family members earlier attended a short funeral service at the Forest Lawn cemetery. Madonna kicked-off her revamped Sticky And Sweet tour at London’s O2 Arena with a tribute to Michael Jackson. Jackson, who died last week, was due to perform a series of 50 farewell concerts at the venue from 13 July. As Madonna sang Holiday she was joined by a dancer dressed in Jackson’s unmistakable style of sequined jacket and sparkling white glove. Pictures of Jackson as a boy flashed up on a giant screen as the dancer moon-walked across the stage to the strains of Billie Jean. He went on to perform some of Jackson’s signature moves to Wanna Be Starting Something. An estimated crowd of 17,000 watched Madonna perform at the first of two concerts in London this weekend. She moves on to Manchester on Tuesday, followed by several dates across Europe. Madonna closed the show with Give It 2 Me, and donned a jewelled glove, along with her dancers, in a final, simple, tribute to Jackson. 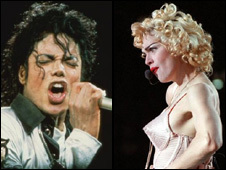 Jackson and Madonna both became huge solo stars in the 1980s. Speaking after the 50-year-old’s death on 25 June, Madonna said: “I can’t stop crying over the sad news. A public memorial service for Jackson will be held at the Staples Center in Los Angeles on Tuesday. Over half-a-million fans have applied for just 17,500 tickets available for the event. Renowned rock photographer Kevin Mazur was at Michael Jackson’s final tour rehearsal in Los Angeles last week. Several images from the practice runs have now been released, showing the star dancing and smiling against large neon letters reading “This Is It”. Mazur, who first took pictures of Jackson during the 1984 Victory tour, told the news about the “magical” show that was being prepared before the entertainer’s untimely death on Thursday. How much of the rehearsal did you see? I was there for a couple of days. I was there on the first day when they built the stage, and I took photographs of the dancers and the back-up singers for the tour book. Then, the next day I was taking casual shots of the band and the dancers rehearsing when Michael arrived. I was like an expectant father waiting for him to take to the stage, I was so excited. And when he came out, I was even more excited because Michael was back. He was happy, he was energetic, he was full of life. I had such an adrenaline rush. It was like the first time I had photographed him, when he moonwalked. People were saying he wasn’t ready, and the first shows had been pushed back because of his health. Did you see any evidence of that? A photo tells a story. Michael was physically fit and performing the same way that I photographed him through the years. You can look at the photos. I documented it, I was there. So how did you feel when, four days later, you were told he had died? I was so shocked, because from what I saw on Tuesday night, he was full of energy and full of life. I couldn’t wait to see this show at the O2 arena with all the fans there. How much of the production did you see? Were there any big surprises? There were still certain elements that they had to put into place, but I saw them rehearse about a dozen songs. And Michael never stopped. He worked right through. He did 12 songs and he only paused a couple of times to tweak some stuff with the music and a little bit of the choreography. They had a screen that ran the full length of the main stage and was maybe about 50 feet high. And, supposedly, I heard they were doing some 3D things. I’ve been shooting shows for 25 years and I’d never seen anything like that before. I was very curious to see how it would all come together. So you could say the concert was really in the final stages of preparation – with all the individual songs coming together into a coherent show? Yes, well… everything was pretty much staged and built. There were certain things they were still waiting to get – they had chandeliers they were going to put into the set. But musically and dancing-wise, I got to see it all. But I didn’t get to see things like aerial lifts and a few other elements in the show. And when Michael was done rehearsing, he and Kenny Ortega [choreographer and show producer] went off the stage and they were looking at a bunch of props they had for Thriller and they had a puppeteer using zombie-type creatures that were going to go through the audience. It looked really, really cool. This was going to be like no show anyone had ever seen. 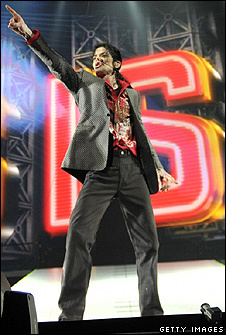 The picture that has gone around the world today is of Michael in a grey suit, pointing into the centre of the auditorium. What do you remember much about that shot? That might have been Black Or White – but I don’t remember. It’s so hard for me to keep track of the songs while I’m shooting, because it’s such an adrenalin rush for me. I’m just too excited, and I’m juggling round numerous cameras. But I do know this, it was magical. There are rumours today that the rehearsals had been filmed and that segments of the concert will be released as a tribute. Were you aware of that? Not specifically – but everything was documented. That’s why I was there. I was there to keep a record photographically, and they also had videographers. He’s Michael Jackson and, as you know, he documents everything. Tickets for a public memorial service for Michael Jackson in Los Angeles on Tuesday will be available via the internet, organisers have revealed. Details were announced by AEG Live, the star’s promoter, which owns the Staples Center where the service will be held. Eleven thousand free tickets are to be issued for the service. Only US residents can apply. 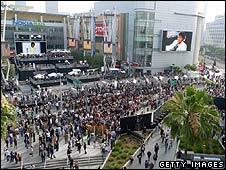 Another 6,500 tickets will be issued for a simulcast of the service at the nearby Nokia theatre. It means a total of 17,500 fans will be able to see the events free. Officials said 8,750 pairs of tickets would be allotted to the successful entrants after 1800 Saturday (0100 GMT Sunday) and notifications would go out later on Sunday. Those selected will be able to get their tickets via Ticketmaster on Monday, officials said. No other details of the service itself were revealed. Officials appealed to other fans to watch the memorial service from their own homes, amid fears that thousands of people without tickets could flood the area. “If you do not have a ticket, if you are not credentialed, not only will you not be allowed at these venues, you will not be allowed in this area,” said Los Angeles police chief Earl Paysinger. 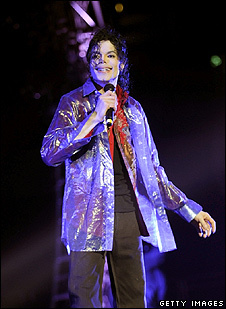 Michael Jackson had been rehearsing for his London concerts at the Staples Center. In a press conference, family representative Ken Sunshine said they wanted to accommodate as many fans as possible. “It is all about the fans,” he said. Officials said that no funeral procession would take place and the memorial service would not be shown on screens outside the venues.